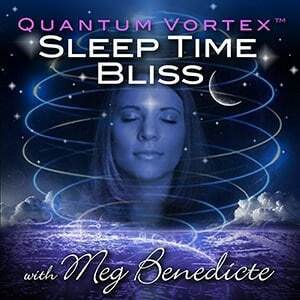 Meg Benedicte has created a quick 10 Minute Meditation to get connected with Soul Presence, build inner reserves of Life Force energy, and activate Crystalline Shields of Light containment with the powerful Quantum Access™Activations. Your ‘Go To’ Activation to establish a strong, impenetrable Protective Container around your personal space. Meg Benedicte has created a quick 10 Minute Meditation to get connected with Soul Presence, build inner reserves of Life Force energy, and activate Crystalline Shields of Light containment with the powerful Quantum Access™Activations. 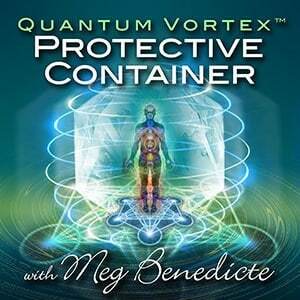 Upload the Protective Container Meditation to your iPod, iPad or smart phone…always available in a moment’s notice for additional protection and personal security. The meditation activations are enhanced by the Zero Point Phi Harmonics in 432 hertz as the background tones. When human brainwaves synchronize with the heart in the frequency of Phi Harmonics, the human energy field achieves balance, symmetry and coherence enhancing brainwave entrainment and inner communication with Spirit.